TX-PACE (Texas Commercial Property Assessed Clean Energy) is a proven financial tool that enables Texas property owners to upgrade facility infrastructure with little or no upfront capital outlay. The program is designed so that owners lower their operating costs and pay for eligible improvements with the savings generated, taking advantage of affordable, long-term financing. TX-PACE can be used to pay for new heating and cooling systems, lighting improvements, solar panels, water pumps, insulation and more, for almost any property – including, commercial, industrial, agricultural, nonprofit and multifamily. 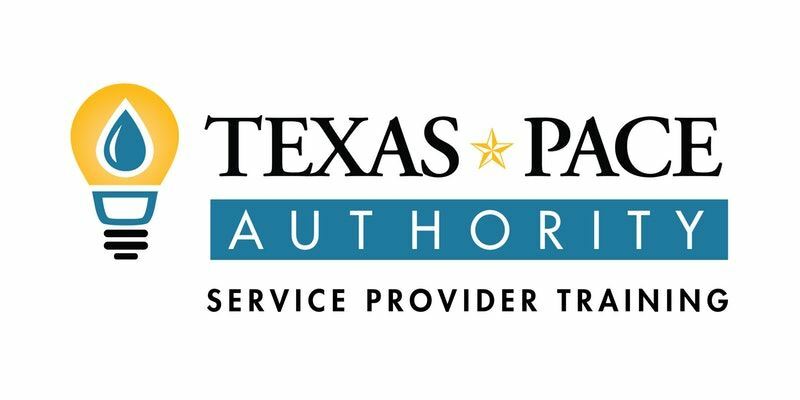 What is a TX-PACE Service Provider Training? Join us for an interactive discussion with subject matter experts about the details of the TX-PACE program including technical requirements and application process. Attendees will learn how to use the program to finance energy efficiency, water conservation, resiliency, and distributed generation improvements. This workshop will also include a presentation and question-and-answer session with a panel of capital providers, an update on the current “PACE in a BOX” market, and discuss in-depth current case studies. The workshop is targeted towards engineers and contractors in the energy/water efficiency and clean energy space, but is open to anyone interested in learning how the TX-PACE program benefits Texas communities, businesses, and property owners. All attendees will receive a copy of the Texas PACE Authority program guidelines and coffee and pastries will be provided.